After truck is hot and I restart it, RPMs stay right at 500 and will not move until I feather the gas and idle will go to 1000, then drop perfectly to 750 and stay there. I cleaned the IAC valve from what I could get to from removing the gray access cover, which was not really that dirty, and that didn't fix the problem. 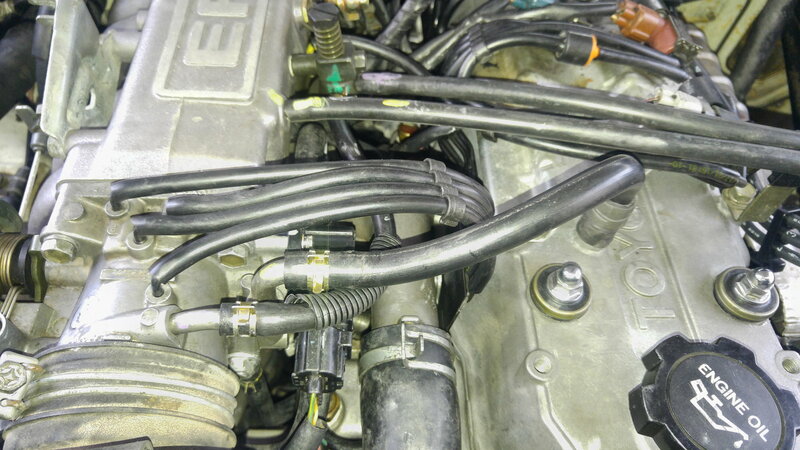 Coolant temp sensor (ECT) is within specs. Should I throw a new IAC valve on or is there anything else I should check first? Last edited by Paul22RE; 11-17-2018 at 10:19 AM. Iacv shouldn't have any effect, it's fully closed when warm. You can verify its sealing if you really want to by trying to pass air thru the front air hose. TB & plate are perfectly clean, along with plenum & intake. Dash pot is brand new. So I shouldn't be able to blow through that larger air hose that comes from valve cover to IACV after engine is hot? Last edited by Paul22RE; 11-17-2018 at 10:52 AM. clean and new are in no way indicators of adjusted properly and working as intended. The throttle plate is closing too far, binding, or the shaft is wobbling. I did leave out a tps check, could be binding there also and not sending the idle closed signal. TPS was just adjusted to within specs while I had TB off and fully open/closed readings were all ok. I will see if I can blow through air hose leading to IACV after warmup. Last edited by Paul22RE; 11-17-2018 at 10:58 AM. I dunno how you plumbed this but my idle valve lines do not go to the valve cover. It should run from one side of the throttle plate to essentially the other. I'm gonna go try and dig up photos, cause I'm not going out in the snow unless the house is on fire. I'm thinking of the above. What you have is below. which hose shouldn't I be able to blow through after warmup? pcv vent hose. Not part of the idle control. On the older model... The air passage is accessible from a large hose on the front. Any way to test my style IACV is fully closing after warmup? Last edited by Paul22RE; 11-17-2018 at 11:18 AM. I replaced the IACV and the problem persists. Any ideas what to try next? 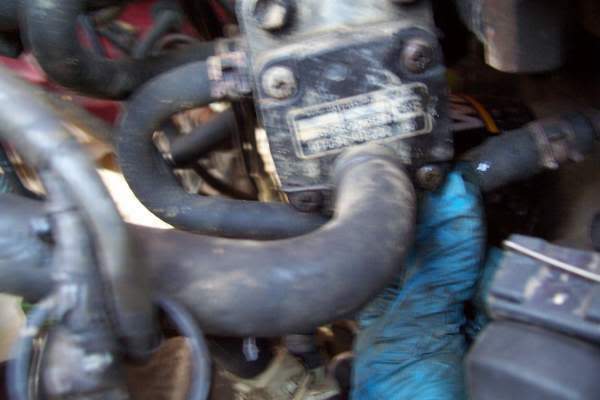 Sure the vaccum lines under the pot and egr system are attached, attached correctly? Get some OEM vac lines and replace everything. I had a random high idle, and a new IACV fixed that. My 92 does the same thing randomly on hot start. My throttle body is clean as it gets. I have come to the conclusion that it's probably wobble in the throttle plate. 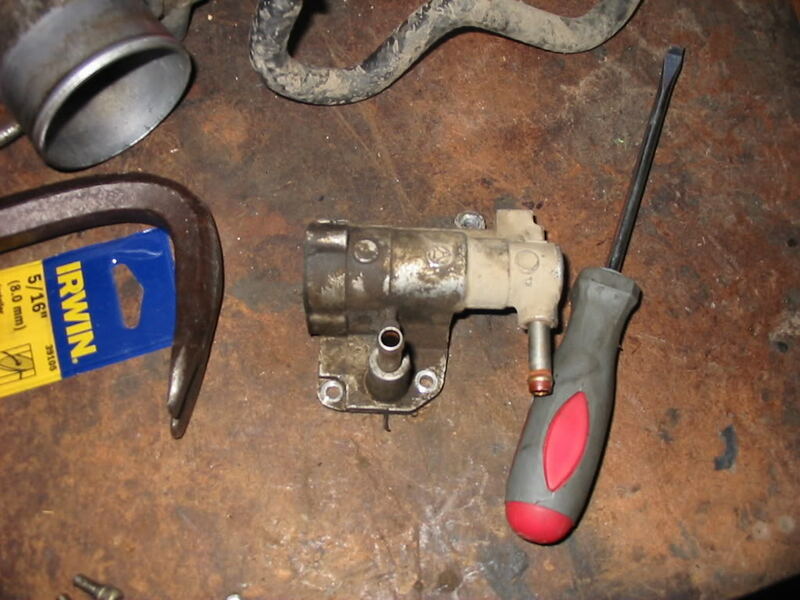 LCE sells a throttle body rebuild kit, but I don't need the gasket and the fancy idle screw. Just need the bushings. Have not pursued just buying the bushings, so not sure where to get them. Last edited by snippits; 01-07-2019 at 05:56 AM. Every vacuum hose has been replaced & TPS is adjusted properly and tight. It is not just the gauge, I can feel it idling lower, exactly like when a jumper is used in the diagnostic port to adjust timing. EGR is also new, injectors all rebuilt, TB is as clean as a whistle. Last edited by Paul22RE; 01-07-2019 at 10:30 AM. Yeah, my TB is also clean as a whistle. Maybe it is the plate, not sure what else to check? Does the BVSV have anything to do with idle speed? (I am trying to think of anything else that is affected by engine temp). EGR is new but I never tested the BVSV. EGR system shouldn't be functional at idle, or while cold. Pull the air hose off the front of the throttle body and try wiggling the throttle plate, try pushing it up down left right and in and out, it should be very rigid if you notice any change in the gap between throttle body housing and plate it indicates it has worn out. No one makes a service kit for this failure mode. The LCE seals might help some but the root issue is the plate not returning to a consistent position. I''ve just put some very light oil on a paper towl and "cleaned" the tb plate and housing where it sits at idle, leaving a thin film of oil. Also put some on the return spring, hoping it will flow into the shaft. I was chasing a surging issue, which turned out to be a vacuum line that was unhooked. But the TPS shaft is now buttery smooth, where it was a bit dry and would lightly catch on itself at times. With engine off, check the condition of the throttle cable by having someone press the gas in the cab. No binding or sticking? No loose strands of wire? Have you checked for a clog in the little coolant line on the T-stat housing or the little o-ring on the idle screw bad. Yeah, I replaced that o-ring and blew air in all coolant passages and all new coolant hoses. I think I will try that LCE TB rebuild kit, wonder why they include a fancy idle screw instead of a new shaft? Last edited by Paul22RE; 01-09-2019 at 12:44 PM.